Samuel Şahin-Radlinger (born 7 November 1992) is an Austrian footballer who plays as a goalkeeper for Norwegian club SK Brann on loan from Hannover 96. Şahin-Radlinger was developed by the youth system of SV Ried, and his first experience of first-team football came during a loan spell at Union St. Florian of the Austrian Regional League Central during the 2010–11 season. Shortly afterwards, in June 2011, Şahin-Radlinger was signed by German club Hannover 96. He spent the next two years as first-choice goalkeeper for Hannover's reserve team in the Regionalliga Nord before joining Rapid Wien on a two-year loan deal in the summer of 2013. He made his Bundesliga debut in a 0–0 draw with Wiener Neustadt on 15 December 2013. On 30 January 2018, Şahin-Radlinger joined Norwegian top-tier team SK Brann on loan for rest of the 2018 season. Brann were given an option to sign him permanently at the end of the loan. 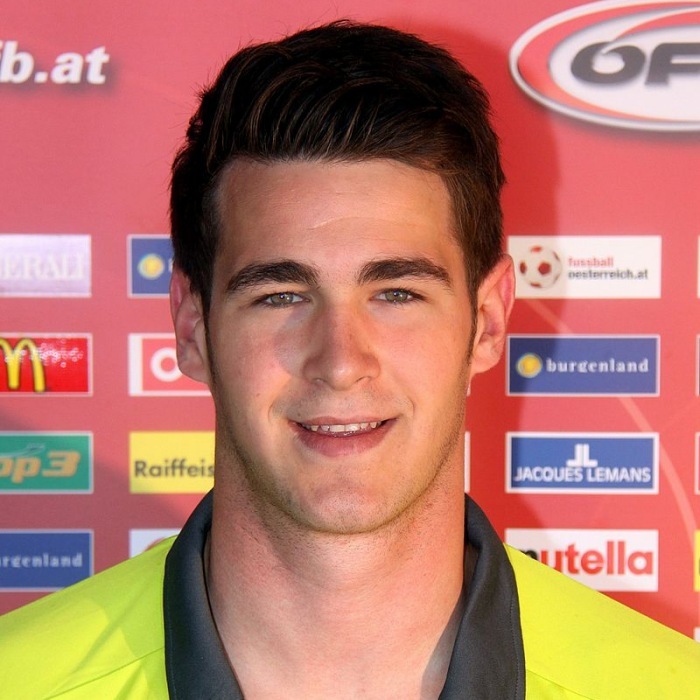 Şahin-Radlinger has represented Austria at every level from under-18 to under-21 and was the first-choice goalkeeper of the Austrian squad at the 2011 FIFA Under-20 World Cup. In June 2016, he married actress Sıla Şahin taking on the joint name "Şahin-Radlinger".